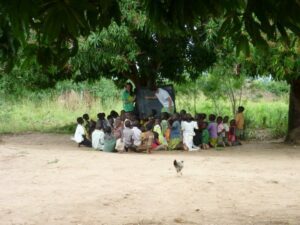 The first time I attempted to teach English abroad was under a mango tree in Uganda. The students were aged from four to sixteen and I was instructed to teach them English, based purely on the fact that I am English, and the assumption that I would therefore be able to pass my knowledge onto others. This approach to education, whilst fun, is conducive to neither good teaching nor the education of the students. The main part of my lesson consisted of waving plastic, coloured plates, and encouraging the students to shout out the correct colours. This first class sums up my initial approach to teaching – it was a vehicle which would allow me to travel and I didn’t have a clue what I was doing. I continued to teach English without TESOL certification and the challenges only got worse as the job required more from me. Whether you are looking for core TEFL certification or advanced TESOL certification most courses are now offered online. TESL Canada and CELTA are two of the top accrediting bodies that now recognized online courses. In this article, you can learn how to pick the right online TEFL or TESOL course. Read: What’s the Difference Between TEFL, TESOL, and TESL?